Most people believe that the choices they make result from a rational analysis of available alternatives. In reality, however, emotions greatly influence and, in many cases, even determine our decisions. No-one has ever made a life changing decision because a website's design was pretty. Neither has anyone ever made a purchase decision, or invested any significant amount of money or time, simply because a website 'looked nice'. The fundamental purpose of a website is to communicate with your audience - usually through written content. A good website is a mixture of good content and good design. And to provide a good design, content is needed first. 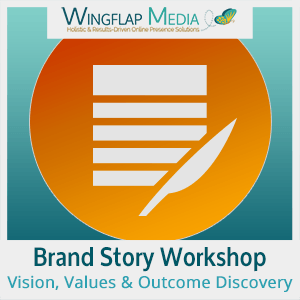 These workshops are designed to help you uncover your brand story, and to help you lay a strong content foundation and strategy. 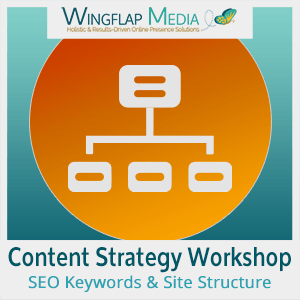 Once you have completed these workshops, you will have the blueprint for going ahead with the design and then development of your website. You are more than what you sell. The biggest mistake new business owners make is jumping into building a website without doing the groundwork first. In this workshop we’ll weave the narrative of your business. You will discover the story that you need to tell to attract the right clients to you, without you ever needing to push your product. We’ll do this by connecting your brand to ideas and themes that are bigger than your product or service, by uncovering your core values, why you are here, and why your clients need you.